An irregular worker, a nameless actors, a Vietnam veteran, a homeless. For them, ＇Blackout＇ is not a theatrical term. It is the language of everyday life. 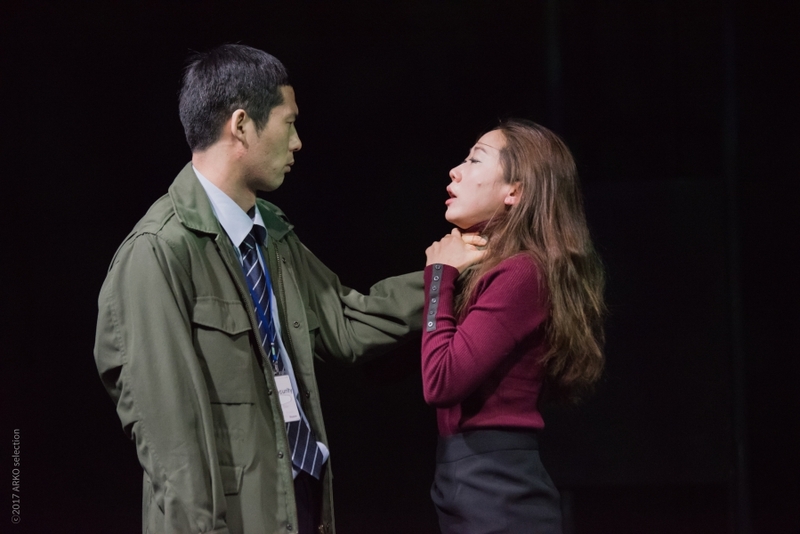 〈Blackout〉 is a play about the gap between daily life and drama. The darkness of life between the stories of the crossed characters is the image of this piece. Ji-hye Lee is a non-regular worker who is overwhelmed by anxiety and often comforts herself with luxury bags. 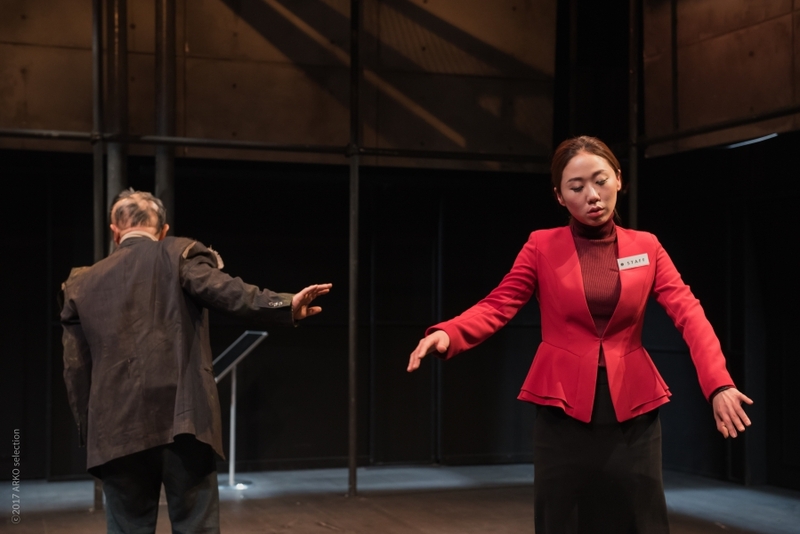 Min is an unknown actor who fights against ＇non-self.＇ H, a veteran who faced many deaths in war, recalls the appearance of his daughter who was forced by Ji-hye Lee to commit suicide. Meanwhile, a homeless man wanders around the theater lobby. They go back and forth between the theater and the lobby, their homes, and tangle with their desires. This work, "The New Generation of the Year," which was created in 2017, unfolds the stories of forgotten people in Korea’s modern history, dealing with the universal theme of identity loss and existential anxiety. The work fits its title, using a projector, CCTV, thermal infrared camera, etc. appropriately based on the "darkness" on stage. The Army of the Extreme Duo is a play that reflects all boundaries. 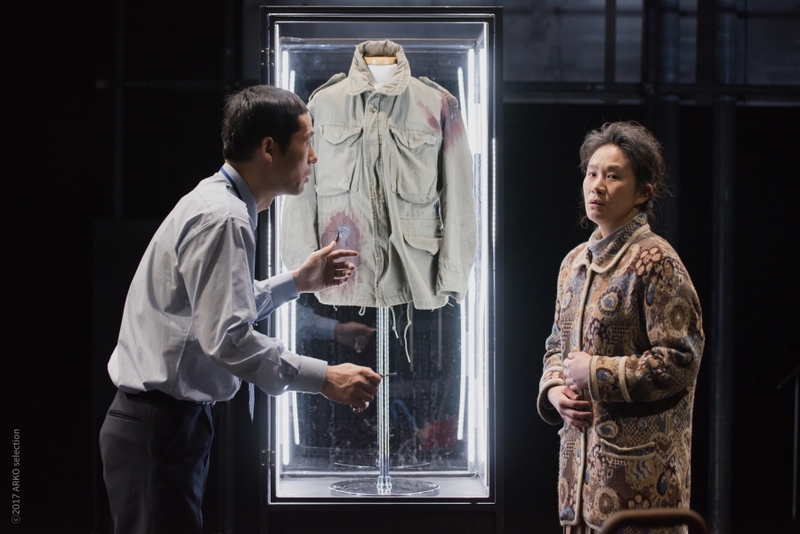 The play’s characters are constantly confident of solving big and small problems: whether they are going to buy a bag or not or whether a cat is alive or dead. Those who are not confident sink into the darkness. 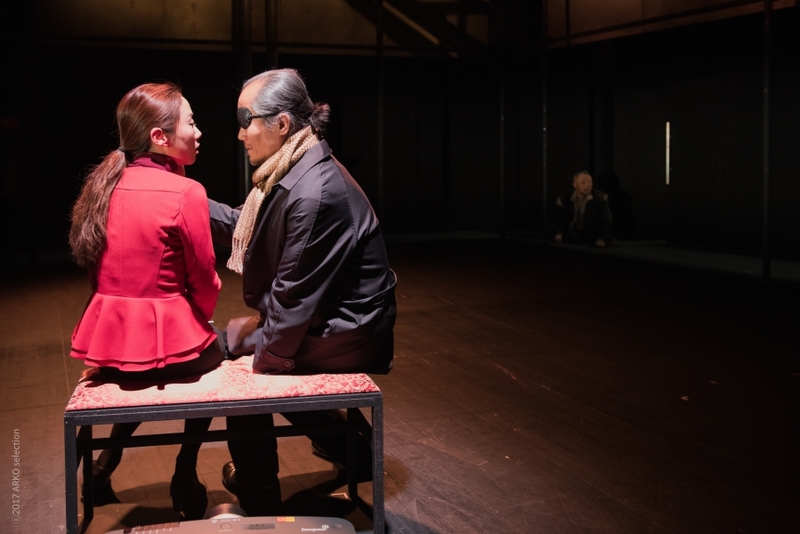 In a situation where light and darkness, daily life and plays, the stage and audience, transgressors and observers turn around, the audience drifts into anxiety and confusion that dominate the stage. At the end, the drama asks about the meaning of living and acting. Theatre Company DO was founded to discover a more authentic and unique theater language. 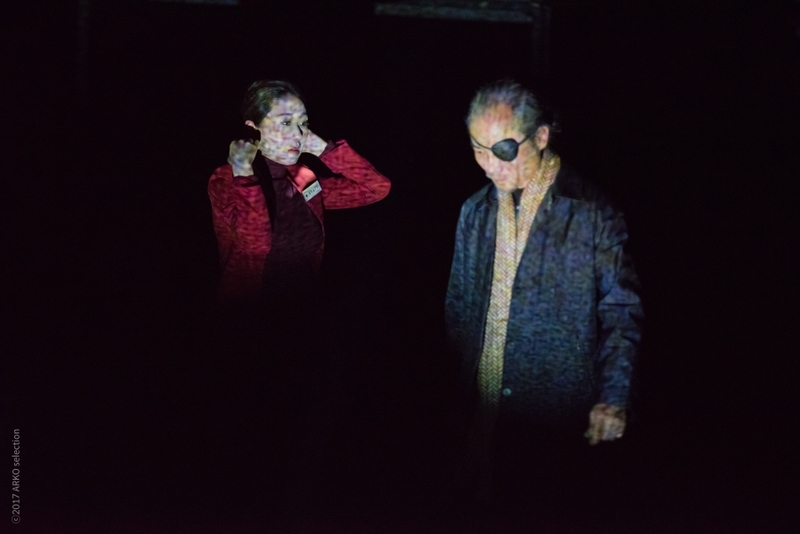 The theater tries to connect the scenes of contemporary reality and the unreal scenes of plays and sew them again. Imagination is our power to empathize with others. For us, the body and language mediate the essence of this age and the nature of the theater. So contemporary life leads to the ＇unreal scenes＇ of the theater, and we want to learn a little more about how to live in this age. Our masterpieces are 〈Sad Beast〉, 〈Floating Land〉, 〈Keep It It It In the Closet〉 and 〈Almost Electra〉.